Bienvenidos a (welcome to) Day #6 of Ecuador Chocolate Theme Week, and the day before Chocolate Banquet's 10-year anniversary. 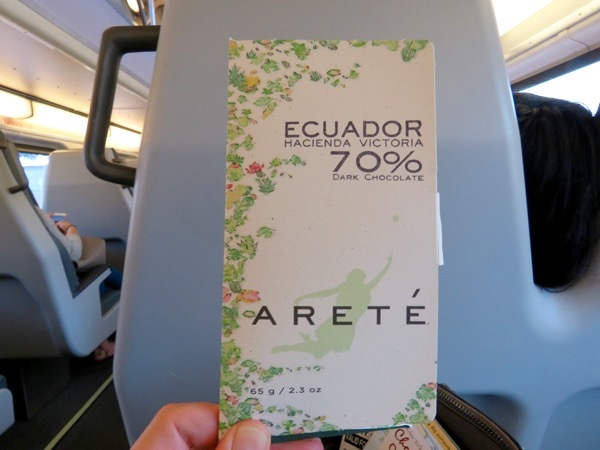 To mark this occasion, I'm proud to be able to spotlight a series of bars made with Ecuadorian cacao from local Bay Area maker Arete Fine Chocolate (Milpitas, CA). Nestled in the heart of Silicon Valley, is a single-story facility where David and Leslie Senk are crafting a growing number of single origin chocolate bars. 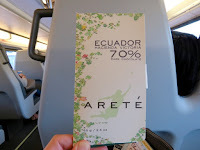 Today's Arete Hacienda Victoria 70% Dark Chocolate bar combines beans from cocoa beans from a single large farm (Hacienda Victoria) with organic sugar and cocoa butter. 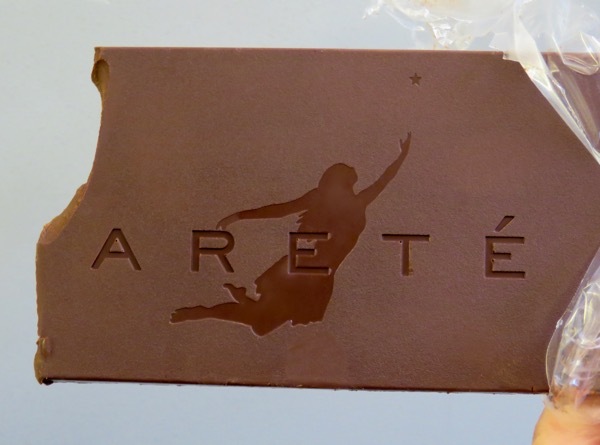 It's worth pointing out that the makers at Arete pressed the cocoa butter in this bar from cocoa beans from this same farm. This elevates the meaning of single origin. Cacao growing close to the Equator (e.g. in Ecuador) is typically leaner than cacao growing farther away from the Equator, say, in Hawaii ("the North Pole for cacao")—where beans may have 10 percent more fat to protect them from harsher/cooler weather. Plants are smarter than we think. This Ecuador had a flavorful, fruity (dried fruit such as plums, raisins) taste with a slight nutty flavor note.